Oh I do love a good trend. After years of denying my slavery to fashion I have finally decided, I give in. I know I am not carving my own path but following the herd. Something new and exciting comes along and I just have to try it, taste it, drink it, smear it on a bagel, etc. If you think you are unaffected by trends just think of the jeans you have owned: flares, low rise, boyfriend jeans, skinny jeans, jeans on your hips, jeans on your waist, ripped jeans, coloured jeans, white jeans. And do you remember tamagotchis? Don’t tell me you didn’t have one. Traditionally, food out of a van was a greasy overpriced burger and chips at 3am when you stumbled out of some hideous club and a chicken burger with flaccid onions, for that regrettable microsecond, had the appeal of a medium rare steak. But now Food Vans mean: gourmet pizzas, pulled pork and cocktails. Oh my! Food vans are basically good restaurants with wheels. 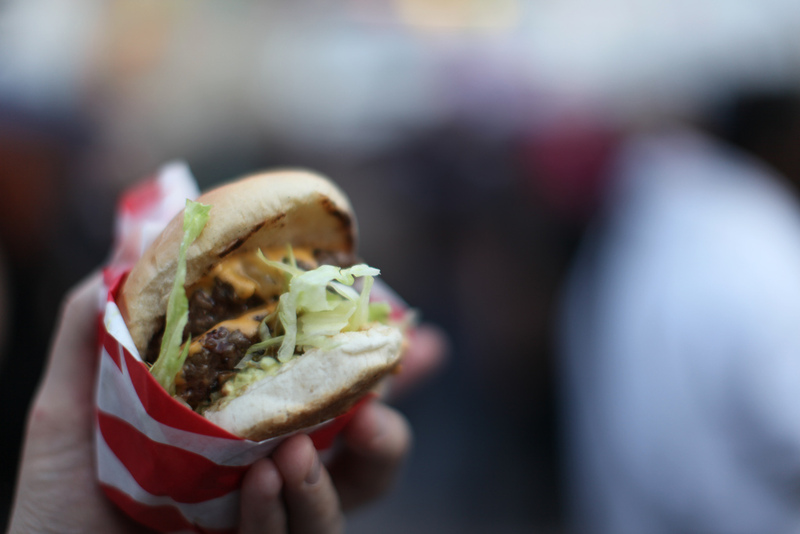 In fact, some of these street food vehicles are doing so well that, on the back of their street food van business, they have opened an actual static restaurant, such as Pitt Cue Co. in Soho migrating from the Southbank, and Meatliquor in Marylebone. Sometimes they group together, sometimes they roll out alone, but they are definitely a new breed. For the next trend I hope all the street food vans get a theme song like ice cream vans and roam the city with a stream of foodies running after them. 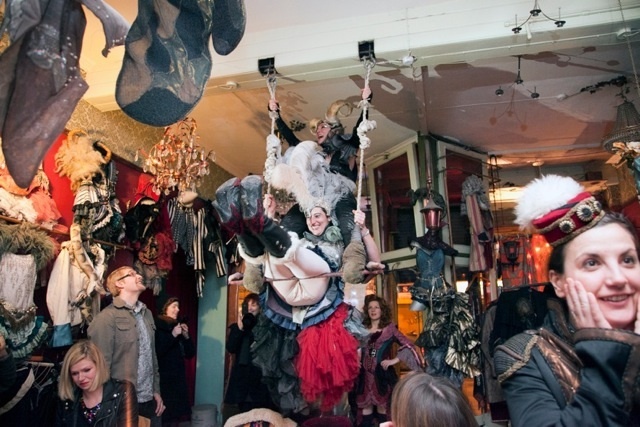 In abandoned buildings, on roof tops (such as Forza Win), in people’s houses, or secret locations (such as the Gingerline HQ, pictured above), supper clubs are popping up all over London. It’s like going to a dinner party but with better food and you can’t bring your own booze. Picking from a menu is so 2010. These days the London trend is to turn up and have three delectable courses placed in front of us, one after the other, maybe with some matched beer, wine or a cocktail. I have tried brewing beer. It’s meant to be easy. You put it in a tub somewhere and it ferments. Unfortunately I forgot about it for 6 months and therefore managed to make some sort of explosive beer treacle. Clearly making beer isn’t for me but drinking good beer is something I am very adept at, and it’s getting easier. 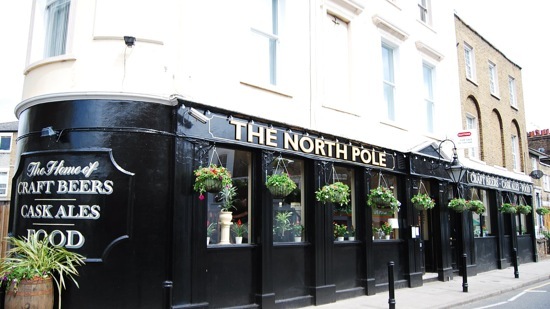 My local pub is suddenly stocking home grown London brews on tap and there are some great recent pub openings that have clearly focused on the local stocking option such as The North Pole (pictured above) in Angel & Islington and Camden Town Brewery. Better check these out before the next new trends emerge and all the pubs start stocking wine made from bananas, every hip restaurant serves dessert first, and dial-a-vans park outside your house to bring cocktails to your door. Meat Wagon image courtesy of Flickr user Richard Moross.